Microsoft has developed a version of Word specifically for Mac users: Word for Mac. On the surface, it looks more or less the same as the Windows version, and many users happily switch from one to the other without problems. However, there are a few niggles and differences that can be frustrating for users that have previously used Word on Windows. In particular, there’s a strange quirk relating to the creation of PDF files. As incredible as it sounds, it’s impossible for Word for Mac to create a PDF containing hyperlinks. Microsoft is aware of the problem, but as its support site proves, it’s not going to do anything about it any time soon. Let’s look at the issue in more detail. They can use the File -> Save As menu and select PDF from the drop-down list. They can use the File -> Print menu and click PDF. If you need to quickly export your Word for Mac document as a PDF, these options are both handy. There’s a distinct lack of control over the output, though, but for the basics, either works to some degree. But there’s a fairly big flaw. Word for Mac cannot create hyperlinks in a PDF document, no matter which method you choose. Naturally, it’s disheartening to have created a Word document containing links that simply don’t function correctly when exported as a PDF, and many users resort to hopping onto a Windows PC to solve the problem. If you look up this issue online, you’ll normally see third party software is the only solution, but many of the tools recommended for the job are very expensive. Infix PDF Editor is actually a very good tool to get around the problem, and it’s affordable enough to be worth the investment. Hyperlinks are incredibly useful in PDF documents. Every table of contents, every linked image, every bookmark: they all depend on the hyperlink to function, and the usability of a PDF is greatly affected when the links don’t work. If you work on a Mac often, and you create PDFs often, you need an alternative way to create documents with working hyperlinks. We recommend ditching Word for Mac altogether and using the Pro version of Infix PDF Editor on your Mac instead. So how do you deal with those links? In Infix, you can search your document for keywords with certain types of formatting applied. Using Infix’s Find dialog, you can quickly locate a link, replace it and re-save your document. Users can add advanced features, such as article linking through a document, industry-standard password protection or the creation of layers. There’s more control over the way the document is saved (so recipients of PDFs could benefit from better quality and smaller file sizes). 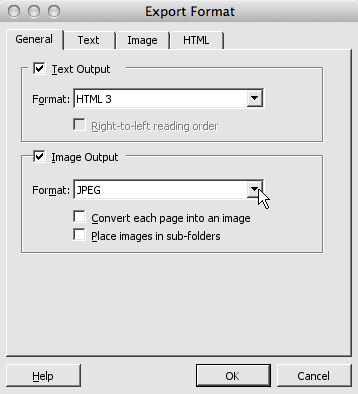 Users can output PDF content to a range of alternative formats, such as JPEG, right from Infix PDF Editor. The software can acquire written content from a scanned image and convert it to editable text. Year on year, the price of Word for Mac is actually increasing. Save yourself the trouble and make the move to Infix PDF Editor for Mac.